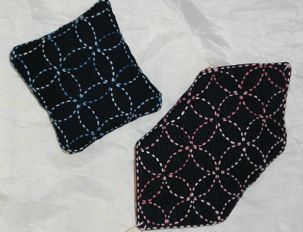 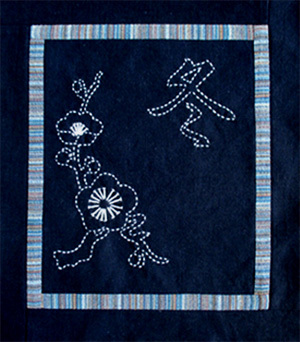 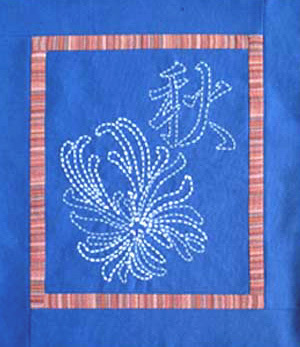 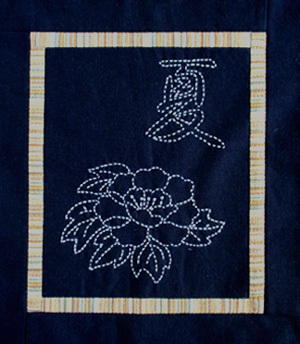 The sashiko motifs are typical of Sakata and Tsuruoka in northern Japan. 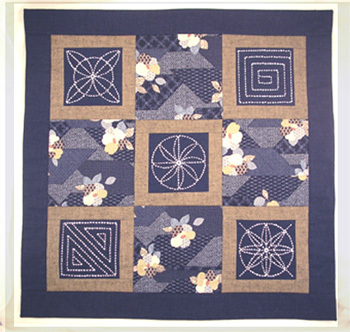 Patterned cotton of traditional 'mon' ( family crests), hexagons (faux patchwork) and tsumugi border cotton give the Japanese country look. 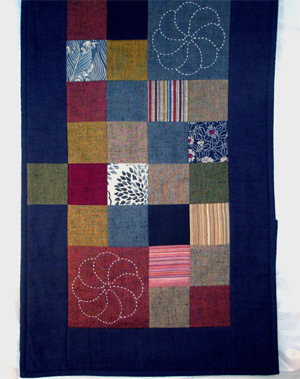 Makes a wall hanging or a large cushion front panel. 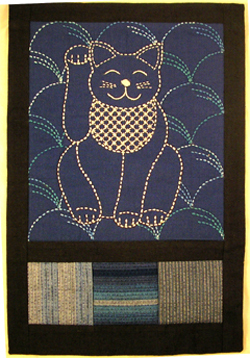 Maneki neko cats beckon in good fortune. 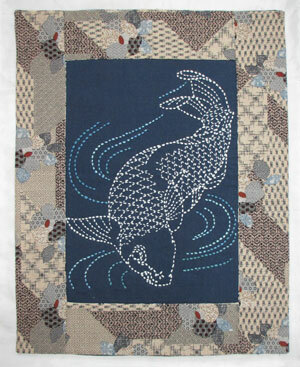 Tama (a popular name for cats in Japan) is stitched in sashiko and shares his collection of indigo shijira cotton with you. 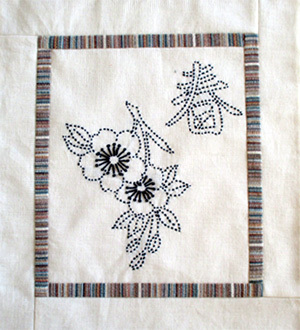 setting for sashiko stitching . 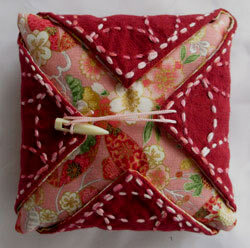 from - or use all five. 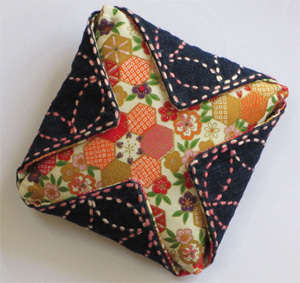 The design is based on the Japanese furoshiki wrapping cloth.